Google Chrome has taken a dominant position as the world’s favorite desktop browser, with almost 60% market share and rising. Its central role among Google’s vast suite of digital software and hardware has driven this growth, but users also love how customizable the browser is. It can be dauntingly customizable, in fact. With tens of thousands of extensions available, finding the few that will aid you on a daily basis is an all-consuming endeavor. In one store, you can find everything from Nicholas Page (an extension that turns any page Nicholas Cage-themed) to a variety of income tax calculators. Somewhere in between those two extremes, there are hundreds of SEO-themed extensions, some much more useful than others. There is a little bit of a learning curve to using some SEO Chrome extensions, but once they become habit, they will save plenty of time in the long run. Therefore, within this list we have distilled this down to the 15 extensions that will simply make you more effective at the core areas of SEO. We couldn’t really have an SEO Chrome extensions list without including MozBar. As an all-in-one tool for a quick SEO site overview, MozBar is still the best on the market. Once a user is logged into their Moz community account (it’s free to sign up, for those that haven’t opened an account), MozBar springs into action on websites and search engine results pages. Impactana is a content marketing toolbar that offers the social media analysis you would expect, displaying share counts for each page on Twitter, Facebook, Linkedin, et al. Where it stands apart from the competition is in its use of proprietary metrics to calculate the ‘Impact’ and ‘Buzz’ of each piece of content. These metrics incorporate user engagement signals to assess not just whether content has been shared, but whether people have interacted with it too. As such, it makes for a great starting point when analyzing the effectiveness of a competitor’s content marketing campaigns. In this mobile-first age, we need to make sure we are optimizing for a variety of screen sizes and device types. That’s pretty hard to do with just a desktop to hand, unless you have a user agent switcher downloaded. This extension will give you the option to view web pages as they would appear on a wide variety of devices and operating systems. It’s an essential extension for developers, but it’s very useful for anyone conducting SEO analysis too. Quite often, we need to pull elements from a range of individual pages or websites for large-scale analysis. There are a few different ways of doing this, such as using IMPORTXML code to pull structured data from websites into Google Sheets or Excel. The Scraper Chrome extension speeds up this process, using the XPath query language to export HTML data elements from a page, along with similar data from across the website. It take a little getting used to, but there is a handy step-by-step guide here. Once you get accustomed to how Scraper functions, it saves a lot of time during any technical SEO audits. If we want to understand how a search engine crawls and indexes our websites (and presumably, we all do), we need to get to grips with metadata. META SEO Inspector goes beyond the narrow, SEO-focused definition of metadata as the ‘meta’ tags defined within the HTML source code. The extension also facilitates analysis of XFN tags, canonical tags, and various microformats. It is also updated quite regularly to stay abreast of any amendments or additions to Google’s best practice guidelines. 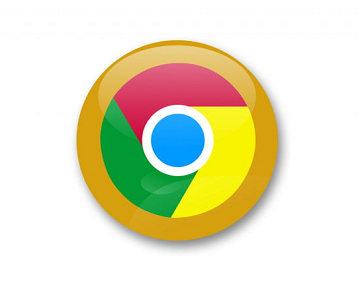 This Chrome extension from Google isn’t the most glamorous tool on our list, but it is one of the most useful. Tag Assistant acts as a trouble-shooter, verifying the installation of Google tags such as those used for Google Analytics and Remarketing. The ability to record sessions and analyze the implementation of tracking tags through user journeys is perhaps Tag Assistant’s main USP. It gives the extension a lot of potential for frequent use, beyond the occasional spot checks to verify if tags are implemented correctly or not. As we discussed in a recent article, speed is of the utmost importance as Google continues to prepare its mobile-first index. Page Load Time helps SEO keep an eye on this essential ranking factor, without being obtrusive in the way that other Chrome Extensions can be. Every time a page loads, it highlights the amount of time it took in seconds. Users can then click on the extension’s icon to see a breakdown of the elements required to load the page’s content. For quick insights into page speed, it makes for the perfect starting point. Many of the entries on our list focus on assessing competitors, but this Google extension allows you to view data from your Google Analytics account while you browse your website(s). Once a user is logged into GA, they can view metrics from their account in real time by opening the extension. The metrics available in this snapshot include bounce rate, unique page views, and average time on page. With the increasing prominence of user engagement factors in a RankBrain-driven Google search ecosystem, this extension is a very handy way to keep an eye on how each individual page is performing without visiting the Google Analytics platform. Some things never change in SEO. We still need to understand which search queries our target audience uses, but gaining access to accurate search volumes has grown increasingly difficult. The Keywords Everywhere extension doesn’t quite solve this riddle entirely, but it goes some way towards providing a bit of clarity. By pulling data from Google Keyword Planner, Google Search Console, and UberSuggest, the extension displays approximate search volumes within results pages. From there, SEO professionals can start to consider for which queries they want to optimize their content. This extension is ideal for getting different teams to incorporate SEO into their daily routines. Everyone from copywriters to developers can benefit from Spark, a Chrome add-on that scans content to assess how comprehensively it covers a topic and how well it makes use of popular search queries. This can be a tricky area of SEO, as we want to provide a search engine with clear signals about our content, but also need to tread carefully to avoid stuffing in keywords to the detriment of content quality. Spark provides some hints without being overbearing, making it a worthy addition to any SEO armory. 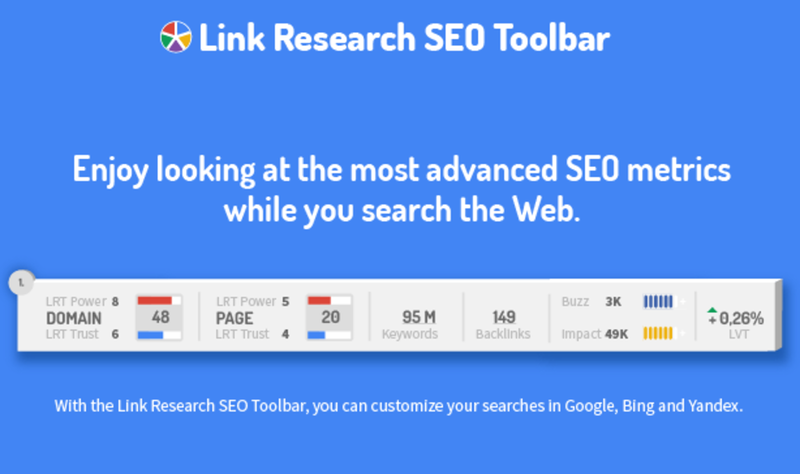 This toolbar from Link Research Tools overlays backlink data as users search and browse. It’s great for getting a quick look at a site’s backlink profile, although it does require a paid account to gain access to some of LRT’s more advanced features. Much is the same fashion as MozBar, the LRT toolbar overlays backlink data onto search engine results pages too. This is very beneficial for taking a backlink-based look at why particular sites perform well for a keyword. LinkMiner is probably the best Chrome extension for identifying broken links. Once activated, it will highlight the number of outbound links on any page, highlighting in green those that are active, and in red those that are broken. It makes for an easy way to share issues with the development team and get links fixed. Through its integration with a range of indices (including Ahrefs, Majestic, and Moz), it also creates a simple overview of the ratio of inbound to outbound links on each page. Majestic remains one of the heavyweight SEO software packages, and this Chrome extension provides much of its functionality without having to visit a separate URL. The Backlink Analyzer provides insight into the quantity and quality of backlinks pointing to any page, along with their topical relevance to the source material. Majestic’s index is larger than Moz’s, so this makes it a more robust reference point when conducting backlink analysis. You will require a paid Majestic subscription to avail of these benefits, however. Engaging with influencers can be a fantastic way to gain relevant, authoritative backlinks. Nonetheless, as anyone who has worked in this field will know, the pursuit of those all-important backlinks can bring with it a lot of time-intensive, manual work. This extension from outreach platform BuzzStream aims to simplify the outreach process. It helps with prospecting, by highlighting key social media metrics on a potential partner’s website. It also makes it easier to bookmark influencers and add them into the main BuzzStream platform. Once more, this will require a paid BuzzStream account, but if you already have an account, then downloading this extension should be a no-brainer.